The Construction Materials Laboratory is established to train students to carry out tests on common construction materials such as concrete, steel, wood, and masonry. 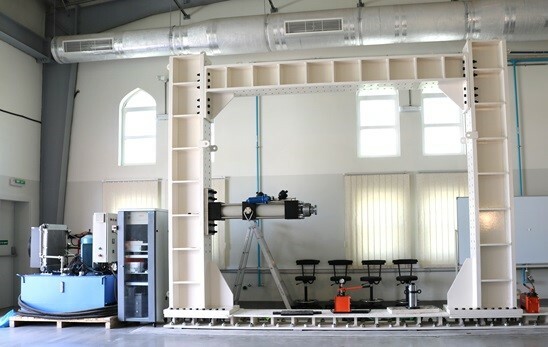 The tests are conducted to determine the engineering properties in terms of strength, strain, fatigue, creep, elasticity, stiffness durability, and workability. Co-requisite: CIVE 221. The lab is meant to consolidate the course CIVE 230. 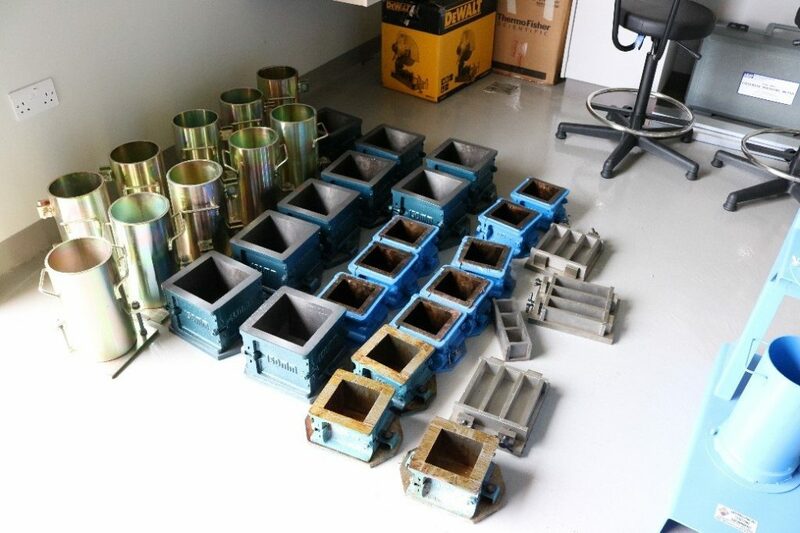 Experiments will include: water content, organic content, specific gravity, grain size analysis, hydraulic conductivity (permeability), consolidation, direct shear, unconfined compression, triaxial shear. Co-requisite: CIVE 230. This laboratory covers different experiments that may include: measurement of flow rate, Bernoulli’s theorem, center of pressure, floatation characteristics, centrifugal pumps, cavitations in centrifugal pumps, characteristics of two pumps in series, pipe friction losses, friction in bends and fittings, momentum of flow, Pelton turbine, hydraulic Ram Pump, free and forced vortices. Co-requisite: CIVE 241. In the Surveying Laboratory, students learn how to conduct distance measurements, transits and theodolites, vertical control, directions, angular measurement, topographic surveys, area and volume of earthworks, curve setting out, planimetric adjustment, GPS observable; basic principles of GPS operations; GPS error analysis; field procedures; data collection, processing; applications. Co-requisite: CIVE 265. This laboratory will be used to collect and analyze data needed for the study and development of different types of transportation systems used on streets to major freeways. 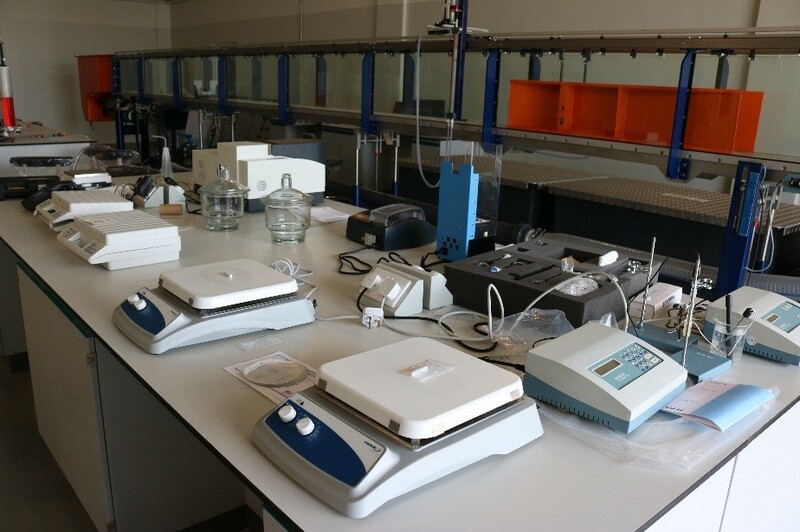 Experiments will include traffic counting and analysis, asphalt content of hot-mix asphalt by ignition method, Marshall Test, traffic impact studies, etc. Co-requisite: CIVE 361. This laboratory will cover experiments related to the following topics: water supply and wastewater collection systems. Water transmission mains, water distribution systems, pumping, storm sewers, and sanitary sewer systems, wastewater collection and wastewater treatment. Co-requisite: CIVE 450.